Disney is calling time on its self-publishing console game business. 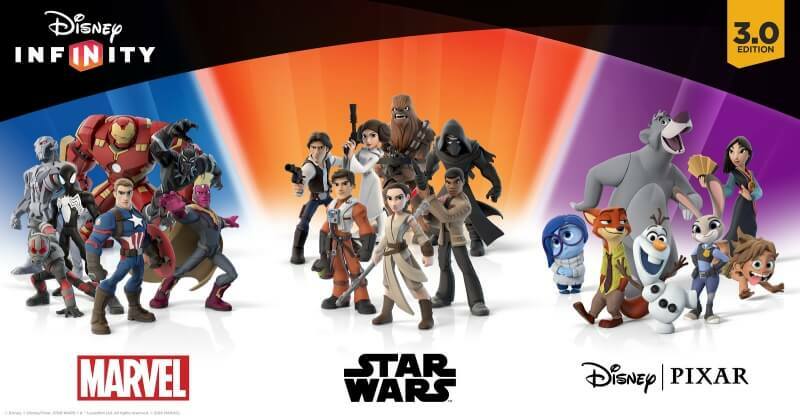 In its second quarter earnings report, the company told investors that it will be ceasing production on Disney Infinity, its toys-to-life game series, and intends to shutter Avalanche Software, its Utah-based studio that developed the games. There are still two final Disney Infinity retail releases coming before the series draws to a close; three new characters from Alice Through the Looking Glass will arrive later this month, and the Finding Dory Play Set launches in June. “From the beginning, Disney Infinity was built for you—our fans—and I wanted to take a moment to thank you not just for your support over the years, but for creating a community that made Disney Infinity more than just a game,” said John Blackburn, Senior Vice President and General Manager of Disney Infinity, in a statement. The company's decision was prompted by Disney Infinity's poor sales. The series, which launched in 2013, has struggled to compete against the hugely successful Nintendo Amiibo and Skylander toys-to-life franchises. Closing down Avalanche Software, which also produced games for the Toy Story and Cars franchises, will see 300 employees lose their jobs and cost Disney $147 million. While Disney will no longer be creating console games in-house, it will continue to license its properties and characters to third-parties like EA. The company will also increase its focus on the lucrative mobile market, where it co-develops its own games. This isn’t the first time that Disney has closed an internal game developer. The company shut the iconic LucasArts studio in 2013, five months after it was acquired as part of the $4.05 billion purchase of Lucasfilm. Disney also shut Warren Spector’s Junction Point Studios, which was responsible for the Epic Mickey games, in the same year.